I rarely deep fry things. Rarely as in if I deep fry something more than two timers per year that is a lot. I get turned off by many deep-fried foods, not to mention the smell in the kitchen they leave behind. But Spring has sprung, the windows are open and there is a gentle breeze in the air. The perfect weather to deep fry something without suffering the stifling smell indoors for the next two days. One of my children requested chicken strips for dinner. I really hate the frozen version of these because they are kind of like eating breaded cardboard. So I promised to make them and to actually deep fry them. Two of my children will eat plain ketchup with their chicken strips, but my husband and I, along with our oldest son, tend to like something more substantial to dip our strips in. I was craving something spicy, and had a half a can of Chipotle Chilies in Adobo Sauce left over. Using a mini food chopper, I mixed them up with some sour cream and mayonnaise and it turned out to be just the creamy yet spicy kick we were looking for. 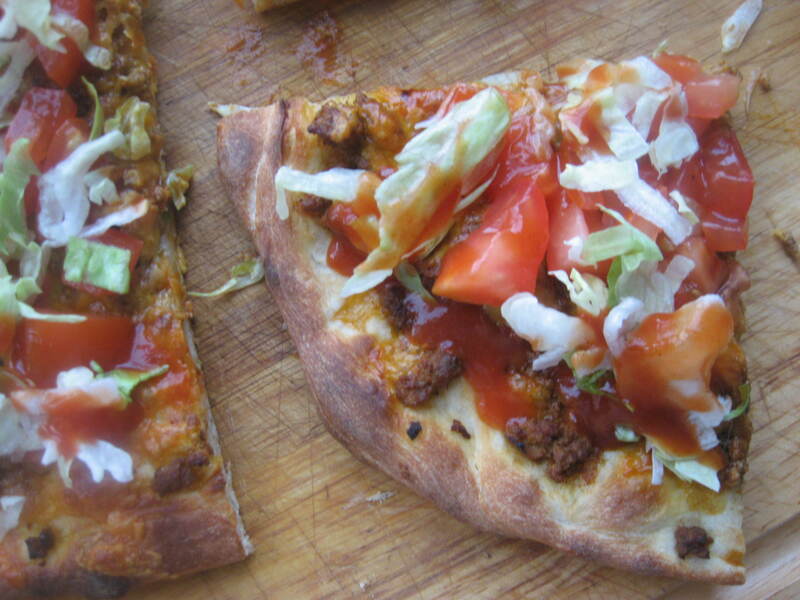 This recipe is so adaptable. You can pretty much make the flour mixture you dip the strips into either savory, sweet, spicy, or mild, but using pretty much anything you have in your spice cabinet. This is the version I used today and it came out very good. Begin by setting up your work station. In a large bowl place the flour and all the dry ingredients and mix well. In another large bowl, pour in 2 cups of buttermilk. Take your chicken breasts and filet them. Then cut each filet in half and then in strips. Place the strips into the buttermilk. Allow them to sit in the buttermilk for around 10 minutes or so. 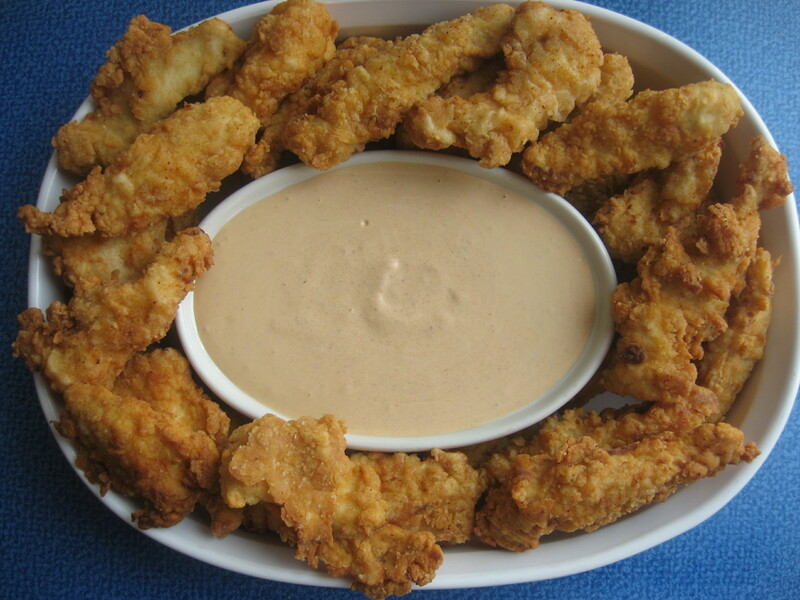 Begin dipping each chicken strip into the flour mixture and coating well. For a thicker crust, after dipping in the flour, dip again into the buttermilk and then again in the flour, getting a full and even coating. 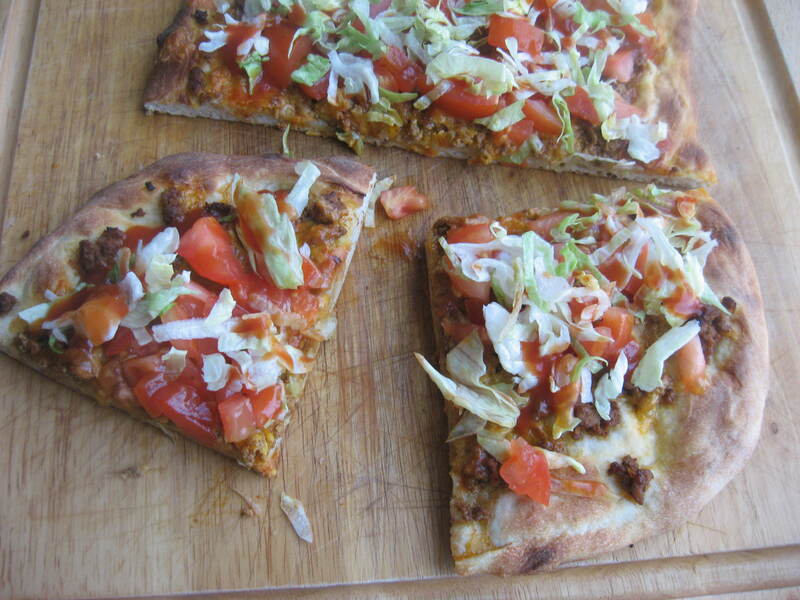 Lay them flat on a large plate and set them to the side. On another large platter, place several pieces of paper towels out. Use this to lean the fried strips on to help drain off the excess oil. In a large cast iron skillet, pour in about 1 1/2 – 2 inches of canola oil. Turn heat to medium and allow oil to heat up. I don’t use a thermometer to check the temperature. I just do a test of adding some flour and seeing if it rapidly begins to fry. When it does, I know the oil is hot enough. Once the oil is ready, begin gently placing 5 chicken strips in at a time. Allow them to brown to a golden color on one side, and then flip them over to achieve the same on the other side. This should take about 4 minutes total. Once the chicken is browned and fully cooked through, remove the strips to the paper towel covered plate, and add in the next batch of chicken strips. When done, place them on a cookie sheet in a preheated 300 degree oven to keep warm and crisp until ready to serve. To make the dipping sauce I added the mayonnaise and sour cream to my mini food processor. I removed the seeds and veins from 5 chipotle chilis and added them along with a teaspoon or so of the chipotle sauce to the processor and pulsed until smooth. This was enough to give the sauce a nice little tang and a bit of a burn, but nothing so hot I couldn’t stand to eat it. 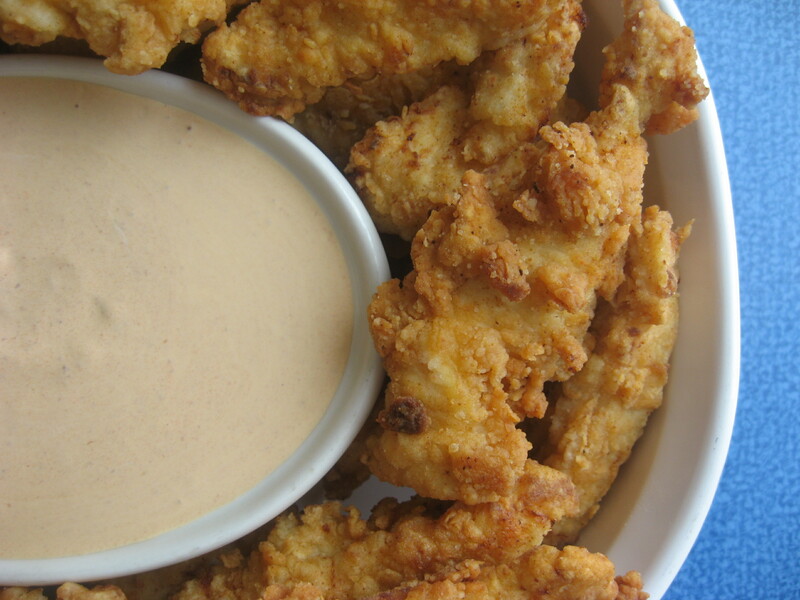 Serve up some dipping sauce with each chicken strip and chow down. There was not one chicken strip left over, so I’m going with this being a success. The next time I make these I may include either a little honey in the sauce or some honey on the chicken before dipping in the flour. 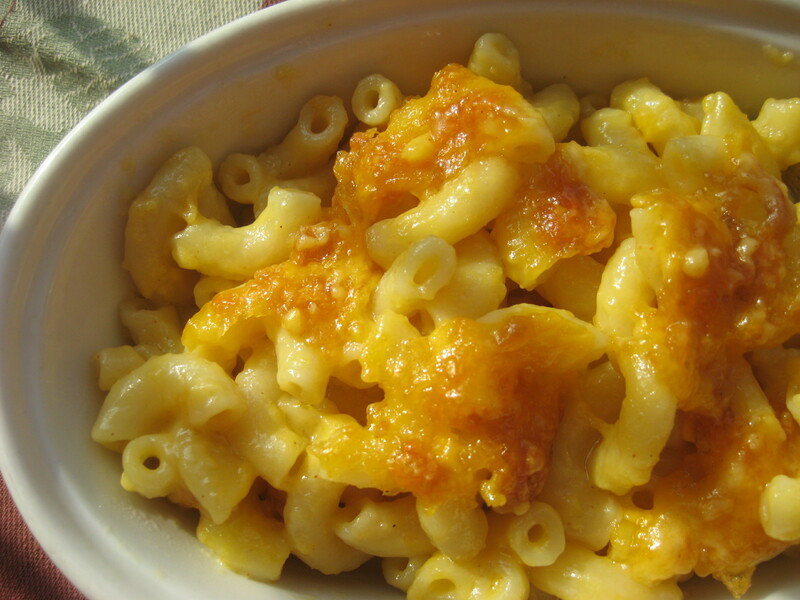 There is nothing better on a cold and wintery day than a classic comfort dish like Baked Mac and Cheese! To compensate for hubby’s unemployed (temporary) status, I took on some extra hours at work. Normally I work the overnight shift, which I am still doing. But I took on some extra evening hours from 3pm to 11:30 pm. So for the next month that is going to drastically cut into my cooking time. Packed with that knowledge, this week I’ve planned a few make ahead meals I can throw together during the day and hubby can just heat up later. Now my husband can cook. No doubt about it! But I know what it’s like trying to cook dinner during the “witching hour” of getting kids home from school, helping with homework, getting dinner on the table, baths, showers, bedtime stories, and into bed. Not fun folks. So I figured I would make life a little easier on him and try to have a few things he can just throw in the oven to re-heat, along with allowing for plenty of leftovers. Now I’m going to tell you something else. My middle son HATES this macaroni and cheese. He doesn’t just hate it, but he refuses to eat it. 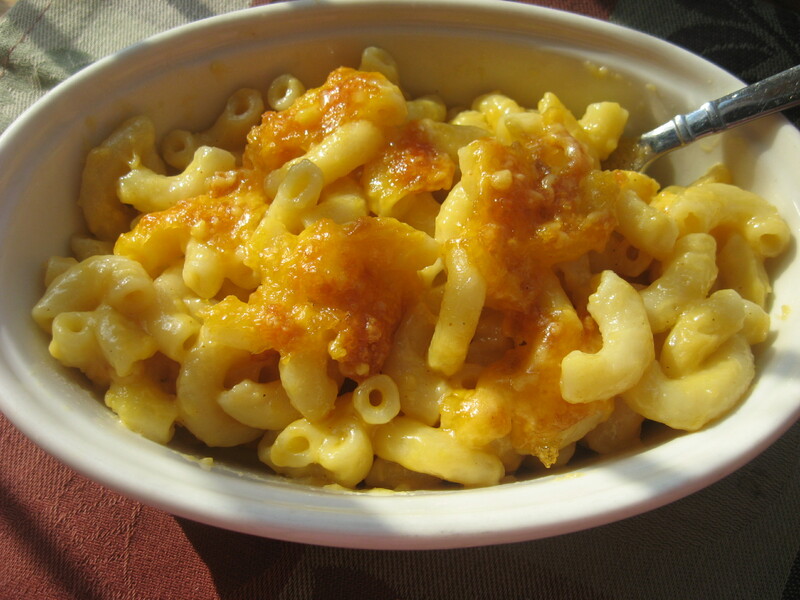 And it’s not this recipe in particular…it’s ANY homemade Mac and Cheese. See he’s freaky that way. If it doesn’t come out of a blue box with an orange powdered cheese pouch, he won’t eat it. The rest of us, however, devour it! I was talking to a woman at work who said she adds potato chips to the top of her macaroni and cheese because she likes the crunch factor it adds. The idea appealed to me and I told myself the next time I made this I was going to try it. So of course, the day I decided to make this we had no potato chips in the house. But…we did have…corn flakes. I figured they were the next best thing. I’m never making my Mac and Cheese without corn flakes again. Unless I have potato chips in the house which I will use instead. Since I was unsure how much to add, I ended up adding a 1/2 cup of crushed corn flakes to the dish. I’m upping it next time to 3/4 of a cup because I definitely wanted more crunch! Spray a 13″ x 9″ baking dish with butter flavored non-stick cooking spray. Bring a large pot of water to a boil and add some salt. Just before the water starts to boil, begin making your cheese sauce in a separate pot. In a Pyrex measuring cup, measure out 2 cups of milk and put in microwave on high. Heat for four and a half minutes. You want the milk warm and steamy but not boiling hot. In the separate pot, throw in the butter and melt, watching the heat so it doesn’t burn. Once melted, add in the 3 Tablespoons of flour and whisk together quickly. You want to do this quickly so you end up with a nice smooth consistency, not lumpy and grainy. As soon as the milk is heated, pour it into your butter and flour mixture and whisk until smooth. Add in four cups of the shredded cheese and stir well until smooth. Remove from heat and set to the side. Dump the macaroni into the boiling water and cook through until just “almost” done. Mine took less than 6 minutes to reach this stage. Once done, strain the macaroni and add it to a large mixing bowl. Immediately dump in all the dry ingredients EXCEPT the corn flakes, into the macaroni, and stir well. Add the cheese sauce mix and stir until fully combined. Pour this into your baking dish and top with the crushed cornflakes, followed by the reserved cup of shredded cheese. Place into your hot oven and bake for 10 to 12 minutes, or until bubbly and the top has achieved a golden crust. NOTE: I buy and shred my cheese for this because I think it makes for a creamier sauce. This time I used regular sharp cheddar, but in the past I have mixed it up using half cheddar and half Colby, or Monterey Jack.